Machinists Union International President Bob Martinez addressed over 800 CBTU delegates with a message focused on solidarity, justice, respect and dignity. “The systemic racial inequality within this nation has put us in a dire state. IAM Legislative Director Hasan Solomon was elected to the National CBTU Executive Board. The Machinists Union was represented by IAM delegates from all across North America. CBTU, founded in 1972, is the largest independent voice of more than 2.2 million African American workers in labor unions today. 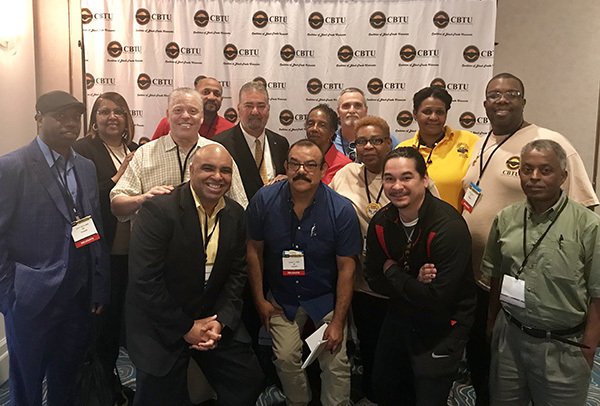 With more than 50 chapters in major U.S. cities and one in Ontario, Canada, CBTU is dedicated to addressing the unique concerns of black workers and their communities. CBTU is a strong supporter of low-wage workers who are fighting for respect and the right to have a voice on their jobs.